Here’s another one from back when I had just discovered the fun of wandering around at night, taking pictures of things. Based on how awful this photo is, this very well could be one of the first wild tarantulas I’d ever seen. This entry was posted on Wednesday, February 9th, 2011 at 6:02 pm	and is filed under Invertebrates, Personal, Photography. You can follow any responses to this entry through the RSS 2.0 feed. You can leave a response, or trackback from your own site. nice, i’ve been missing these guys. I just came across some old ones from a couple years ago in Southern AZ. There were about 4-5 of them digging new …holes/dens? You should be seeing them in Texas soon enough, I believe. Hopefully! (actually not in Texas yet…i know, so confusing. We were there for a couple weeks in December. And i’m headed back there in early March-July, soon!). 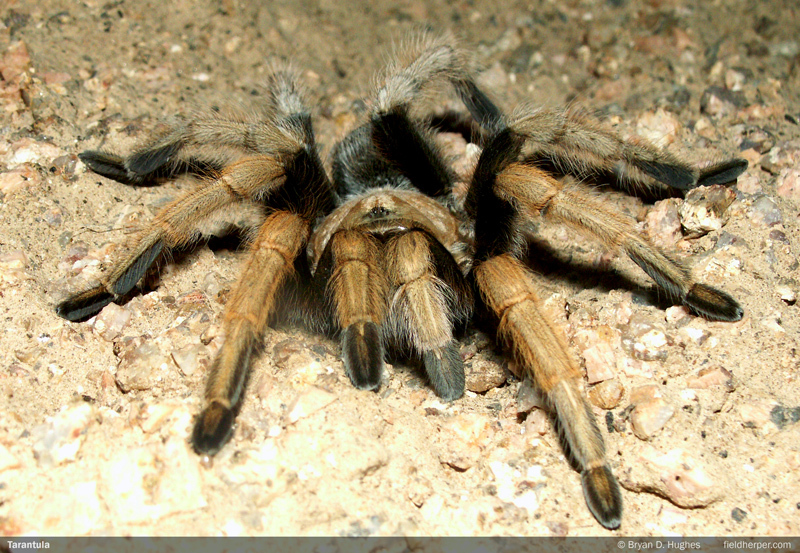 I remember not seeing the tarantulas until later in the Hill Country in past years- I think around May? In May I see more females out and about than I do other months … it’s just a casual observation from a guy who can’t quite tell the species apart (though sexing is rather easy, for the most part), so take it with a grain of salt.